(TEQUILA.net) – Dos Lunas Spirits owner and CEO, Richard C. Poe II, today announced a multi-year marketing partnership making Dos Lunas Tequila the official tequila of Dolphin Stadium, home to the Miami Dolphins and Florida Marlins. Dos Lunas provides a super smooth taste throughout the product line and the sleek, modern bottle design is uniquely recognizable. Florida was one of the first states Dos Lunas chose to pursue licensing. With one of the highest sales points, the brand has gained popularity throughout the Florida region. The affiliation will include strong visibility of Dos Lunas throughout the stadium. Two premium tequila bars, located at each end of the stadium, at concourses C and G, appropriately named The Dos Lunas Margarita Gardens, will be built offering a selection of refreshing Dos Lunas margaritas and other Dos Lunas cocktails. In addition to this, there will be two permanent Dos Lunas bars on the 100 concourse level of the stadium with similar offerings. A full-color mural featuring Dos Lunas will be prominent to any fans entering the Dos Lunas Margarita Gardens, one of the most interactive areas of the stadium. Sporting events will broadcast announcements for Dos Lunas Tequila every quarter and additional signage will be evident throughout the venue. Dos Lunas Tequila bottle service will be an additional service featured to suite holders each season. 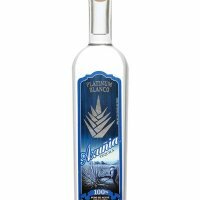 Dos Lunas Tequila produces a line of award-winning ultra-premium handcrafted tequila made from 100% of the finest Blue Agave. Dos Lunas Silver ($39.99), Dos Lunas Reposado ($44.99), Dos Lunas Anejo ($49.99), and Dos Lunas Grand Reserve ($2,500). Headquartered in El Paso, TX, Dos Lunas Tequila is all-natural and chemical free. Dos Lunas is also 100% herbicide and pesticide free. Available in over 21 states in the United States and Canada, Dos Lunas will be accessible throughout the entire U.S. by late 2009. For more information, please visit www.doslunas.com or call 866.DE.AGAVE. Dolphin Stadium, located in Miami Gardens, Florida, is a world-class sports and entertainment facility that hosts a wide variety of events including Miami Dolphins football, Florida Marlins baseball, University of Miami football, FedEx Orange Bowl, the BCS national championship game in 2009, World Baseball Classic in 2009 and Super Bowl XLIV in 2010. The stadium also has been the home of two Major League Baseball (MLB) World Series, four National Football League (NFL) Super Bowls, international soccer and numerous concerts. Dolphin Stadium boasts the largest hi-definition video boards in professional sports and the world’s longest LED ribbon display. Owned by H. Wayne Huizenga and Stephen M. Ross, Dolphin Stadium recently received extensive renovations and improvements, making the venue the premier stadium of the Americas. For more information on Dolphin Stadium, please visit www.DolphinStadium.com.